Screen Print Services | Color3 Embroidery, Inc.
Yoooouuu asked for it! No, literally… you asked for it! After nearly 20 years of providing embroidery services, we often heard the cries of help from our loyal customers, asking us to expand our offerings. 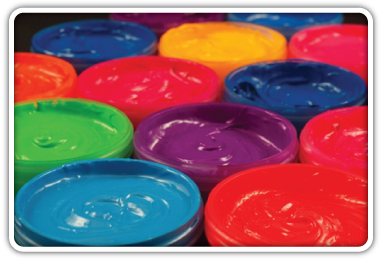 In 2012 your wish was our command and we developed the Color 3 Screen Print Department. Housed adjacent to our embroidery production facility, our screen print department is home to an M&R Automatic Press, manual presses, electric dryers, state of the art exposure units, wash out bays, printers, separations software and lots of other fun, geeky, screen printing gadgets! Our in house graphics team is ready to take your artwork and provide you with virtual proofs including design locations, ink colors, and dimensions of the design prior to production. Need your logo converted to vector art? No problem, we can do that! Our team utilizes Adobe Illustrator, Photoshop and a variety of other separations software to perfect your artwork and get it screen ready. Each design we produce is given a design number so that you can easily reference it for future orders! 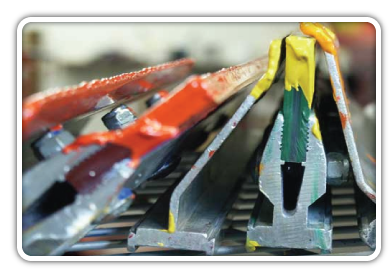 Our screen print department has been built with our clients needs in mind. We can accommodate almost any size order from 24 to 20,000+ imprints!